The Sochi 2014 Winter Olympics are underway, and here at Timbers Resorts our Owners and guests are flocking to viewing parties and private screenings — when they're not hitting the slopes themselves. You can't pick a better spot than the heart of ski country in Colorado for your Winter Games experience. It's bound to be a historic event in more ways than one. To start with, Russia has turned the subtropical environs of Sochi into a winter wonderland for the Olympic athletes. Reports about the budget to pull off that feat have got the price range pegged at some $50 billion — accounting for everything from the buildout right through to the final touches during the 17-day run of competition. That makes this year's installment the most expensive games in modern times. But as the competitors make their way to venues such as the Ice Cube Curling Center, the Iceberg Skating Palace, and the Bolshoy Ice Dome (Russian for "big"), the spectators at Timbers Resorts luxury fractional properties in Colorado are sure to be focused on some very local names. Whether you're an Owner at Dancing Bear Aspen, a guest with good friends at One Steamboat Place, or getting your skis into some fresh powder at The Sebastian - Vail, the state of Colorado is Olympics country. It's placed 19 of the nation's 230 athletes in this edition of the Winter Games, tying with Minnesota for second largest contributor of contenders to Sochi (California came in first). 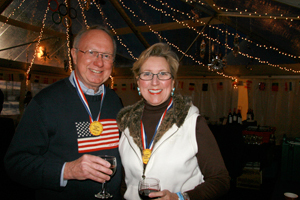 Check out the following list: who's going for the gold from Colorado sites that our Owners and guests also call home. For a full list of all the Colorado athletes, the rundown is available here. At our properties, the Winter Olympics are about community, and gathering together, and lifting a glass to all the competitors. 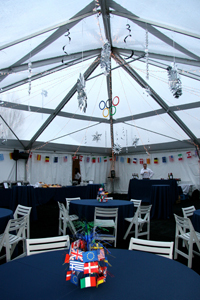 As such, Owners and guests may enjoy the viewing parties and receptions that spring up in the days ahead. One Steamboat Place will feature live streaming on the Gondola Plaza for local athletes' competitions, as well as private receptions in the Gathering Room. If you're spending your Sochi days with us at Dancing Bear Aspen, take advantage of our private screening room — perfect to reserve and watch the 2014 events with family and friends. We'll see you at the celebrations!